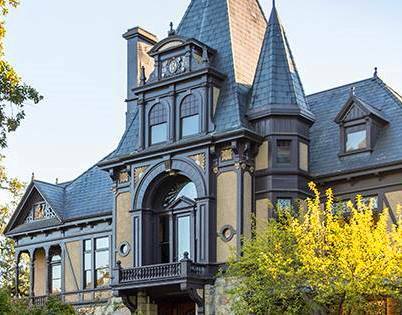 Beringer is one of the true, original, Napa Valley vineyards. The vineyards were purchased in 1875, and they released their first vintage in 1876. Created and founded by Jacob Beringer and hdi brother, Frederick Beringer, the history of Beringer certainly dovetails that of the Napa Valley wine region. Originally known as the Los Hermanos winery, the estate was the dream of two brothers that emigrated to America from Mainz, Germany. The Beringer’s learned how to make wine in Germany, before moving to New York. Jacob Beringer arrived in Napa Valley and took a job with Charles Krug until 1878, where he learned more about the wine trade. By that point in time, he had saved enough money to purchase 200 acres of land from William Daenger. That initial purchase became what we know of today as the Beringer Winery. The vines were located in 2 sections, both of which are close to Spring Mountain, and higher up on the mountain, as well as in the northern end of what we know of as St. Helena. Jacob Beringer set about constructing the 3 story, stone house that you still see on the property today. Frederic Beringer joined his brother in St. Helena in 1884. At first, Beringer was planted with Chasselas, Riesling and Zinfandel. Beringer was a larger property, able to produce a sizable amount of wine. To give you an idea, the first several vintages were about 15,000 cases, which quickly grew to over 40,000 cases of wine! 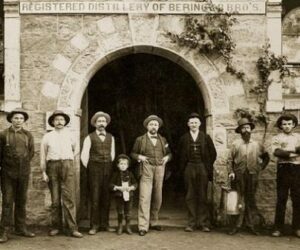 Like most wineries in Napa Valley, Beringer found it close to impossible to survive during prohibition. They barely managed by selling wine for Religious purposes and cakes of dried grape pumice, which could be reconstituted with the addition of water. Following prohibition, Beringer reopened in 1933. The sale to Nestles turned out to be good for Beringer, as from that point forward, they invested a lot of time and capitol to make the bests possible. Beringer introduced a Reserve wine in 1977. Within a few years, they added several, vineyard designated wines including Bancroft Ranch, Chabot and State Lane to their portfolio. In several vintages, the wines were quite good, especially the Private Reserve. The initial vintages of the Beringer Private Reserve were produced from vines planted in the Lemmon vineyard. That vineyard was later renamed Chabot. This was a fabulous site for cultivating grape vines. To give you an idea about how good these wines are, in very comprehensive tastings of 1994, 1995, 1996 and 1997, of the top 50 wines of the vintages, Beringer Private Reserve always scored in the top 10! The new owners also managed to expand the holdings and 2 decades later, they owned close to 3,000 acres of vines. In addition to the single vineyard wines, they produce a plethora of wines from a truly, diverse array of grapes, that in some way, could resemble what may have been planted in the vineyards when they were first cultivated: Pinot Noir, Merlot, Cabernet Franc, Chardonnay, Sauvignon Blanc, Pinot Grigio, Chenin Blanc, Moscato, Red Zinfandel and White Zinfandel. Even though Nestles is the owner of Beringer Vineyards, there is still a descendant of the original Beringer brothers at the property. Mark Beringer, the wine maker is the great, great, grandson of Jacob Beringer. Beringer is best served at 15.5 degrees Celsius, 60 degrees Fahrenheit. The cool, almost cellar temperature gives the wine more freshness and lift. Young vintages can be decanted for 1-3 hours, depending on the character of the vintage. This allows the wine to soften and open its perfume. Older vintages might need very little decanting, just enough to remove the sediment. Beringer is best served with all types of classic meat dishes, veal, pork, beef, lamb, duck, game, roast chicken, ribs, hamburgers, barbecue, roasted, braised, grilled dishes and stews. Beringer is also good with Asian dishes, hearty fish courses like tuna, salmon, mushrooms and pasta. The white wine of Beringer is best served with all types of seafood and shellfish, sushi, sashimi, chicken, veal, pork and cheese. Lots of fresh, ripe, sweet citrus fruits, flowers and a honey note in the nose and mouth. In today's world, this is nice, easy to drink California Chardonnay for the money. Medium bodied, elegant, fresh ready to show off its ripe red fruit charms, this is best enjoyed before the wine hits 10 years of age. From 100% Cabernet Sauvignon, this delicious cassis, blackberry, licorice, espresso bean and earthy wine is ripe. rich, fleshy and long. Drink it now, or age it while. The debut vintage for this blend of 75% Cabernet Sauvignon, 10% Merlot, 5% Petit Verdot, 5% Cabernet Franc and 5% Petite Sirah is fresh, vibrant and showing the oak aging it came from offers layers of jammy black raspberries and spice characteristics. Medium bodied, bright, fresh, short and sweet, this blend of 93% Cabernet Sauvignon, 4% Merlot and 3% Cabernet Franc is open and ready to drink. Tight, the wine requires serious coaxing before finding the earthy, spicy core of red and blacks. Bright and a bit dry in the finish, this needsat least 3-5 years to soften. Rich, full bodied, plush and polished, with a long, fresh, classic, fruit filled finish that really leave you with a great impression. For a wine of this quality and style, this is a steal in today’s marketplace! This wine is rocking! With layers of juicy, ripe blackberries, tobacco, licorice and cigar box aromas, there is a sense of purity to the fruit, polished tannins and a long finish that seems to expand on the palate. Tobacco, black cherry and smoke, with licorice on the nose, polished, soft, classic in nature, the wine finished with licorice, black cherry and wet earth sensations on the round palate. This is fully mature. Truffle, earth, herbs and blackberry scents open to a sweet, lush, concentrated, round wine that ends with a long, juicy blast of sweet black cherries. This is a very nice wine that when compared to many of the more expensive cult wines is truly a stunning deal in today’s marketplace. Tobacco, blackberry and smoke are the first things you notice before getting to the sweet and semi-tart cherries on the palate. The wine really remains in your mouth creating a long finish. What a nice surprise to find this even better than alive and kicking at 21 years of age. With soft, sweet cherries, earth, and spice, the wine feels great with its supple, round textures. I would not hold this any longer. But if you find a bottle with good storage, as it sells for a song, it's well worth grabbing a bottle to try. Earth, smoke, cassis and old cedar wood scents open to a soft, fully mature wine that ends with a spicy, red berry dominated finish. Although this was nice to taste, and the wine is not going to fade away quickly, it does not have the stuffing to improve. Quite the charmer, this is a solid example of delicious, fully mature, California Cabernet Sauvignon with loads of sweet, ripe, cherry fruit, with the right hint of cassis and a dollop of cranberry. There is freshness, soft tannins and roundness on the palate. Fully mature, this is not going to get better, but it's just great today. Pop and pour was all it needed.